Turnstone Global firmly believe that all women have the potential for growth provided they have access to information, adequate skills and required resources. With this in mind, they have started various projects concerning women literacy, health and financial independence. (a) Providing employability skill development training to 5000 plus women. These women have secured a job or started their own business in sectors like Beauty & Wellness , Healthcare, Telecom, IT/ ITES, Retail & Hospitality. (b) Conducting several job fairs leading to employment of more than 1000 women in companies from the organized sector. 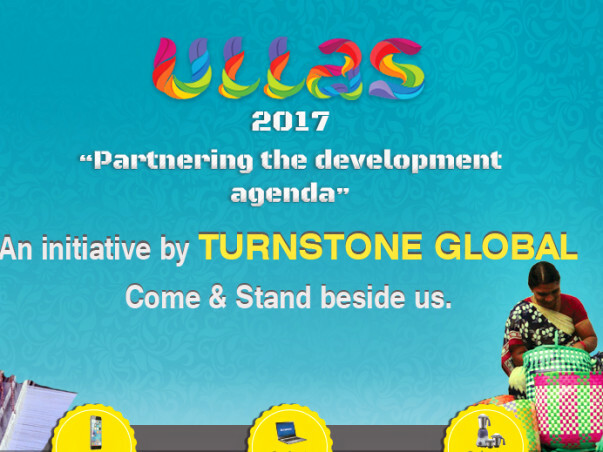 In September 2017, Turnstone is launching Project Ullas – a 5 year project aiming to train 50000 women and help them stand on their own feet. The target population is the women from the slums in the city and rural folk in the State of West Bengal. These women are subject to a number of problems like domestic violence, lack of access to education, employment and health services, unequal access to resources, no say in the decision making of the family etc. ‘ULLAS’ project through its skill development program aims to alleviate the above problems prevalent in women community which a woman faces on daily basis. This project will equip the women and girls in the age group of 18 to 40 years with skills which will help them gain meaningful employment or start their own enterprise. Financial independence of women will solve a majority of their problems. It will instill confidence in them which in turn will lead to a gradual decrease in the incidences of domestic violence, increase in the enrolment of girls in school etc. Further it will make them more informed in terms of health, education and employment. The objective is not only women development but women led development. Turnstone has approached us to be a part of this project and partner with them in making this dream a reality. To develop and improve life through skill development in order to play their desired role in their family and society. Supporting them with bank linkages and micro financing. Developing networks with like minded organizations. Establishing rural BPOs employing women. Support 20 mango processing units with backward and forward linkages. Establish 10 pineapple processing units. Set up 10 units for handicrafts for making handicrafts out of jute, terracotta, paper craft etc. Setting up of 5 khadi units. The project was successfully launched on 18th September at Mahajati Sadan. The list of projects to be launched under Ullas will soon be updated.